Recently I hit an amazing milestone of 30.000 followers on Instagram!  Instagram is where my crochet journey started and where I met most of my crochet friends. Every Instagram milestone is special to me and I’m always so excited when a new milestone is about to happen.. I’m literally counting the days! I still can’t believe how I ended up where I am today with so many new friends and living this exciting crochet life. I thought it would be nice to reflect back and see how I got here over the past three years. December 2014 I created my very first crochet item: a christmas tree. After Christmas I searched for more projects and ended up making a minion which took me 2 full weeks. My addiction to crochet was born. March 2015 I started sharing my crochet projects on Instagram, initially for friends and family. However, I noticed most of them didn’t really care about crochet and they stopped following me. I felt quite discouraged and didn’t want to waste their time and ‘spam’ their feed. Soon I found others on Instagram doing the same as what I loved: crochet. I started following more and more crafters like me. And.. I started to gain followers who actually liked my work! December 2015 I wanted to create a blog where I could share my crochet projects. January 1st 2016 I registered the name wilmade.com and started sharing blog posts every once in a while. September 2016 I hit 10k followers on Instagram: “oh my, this is getting real”! December 2016 the bun hat craze started to happen and I jumped on the bandwagon. I made my own versions and shared the patterns for free on my blog. Since that day my blog really took off and I felt the excitement to design more, more, more! In 2017 I still went to university full time and worked part time next to it, so I didn’t have that much time for crochet and designing. Every few months I made something and shared the pattern for free on my blog. April 2017 I hit 20k followers on Instagram: woohoo! 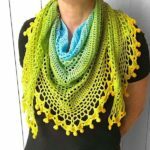 July 2017 I published the Bella Vita Shawl which happened to go viral-ish, giving my blog another big boost. I was going to graduate for my Master’s degree 2 weeks later. More time to crochet, I’m coming for ya! September 2017 I learned more about this interesting blogger’s world and how to make a living out of it. I started working together with companies and was able to share patterns more often because I had a bit more time after graduating. October 2017 things were going very well with my blog, but I couldn’t publish as much content and patterns as I wanted to because I worked 4 days a week at communication & PR departments. January 2018 I quit my jobs and registered my company Wilmade to focus full time on my blog & crochet activities. April 2018 I came back from the USA where I stayed the first three months of 2018. I met some amazing fellow crochet bloggers and learnt some new tips and tricks about crochet blogging. I also shared my very first ‘selfie’ on Instagram and openly talked about my tumor on Instagram and my blog. 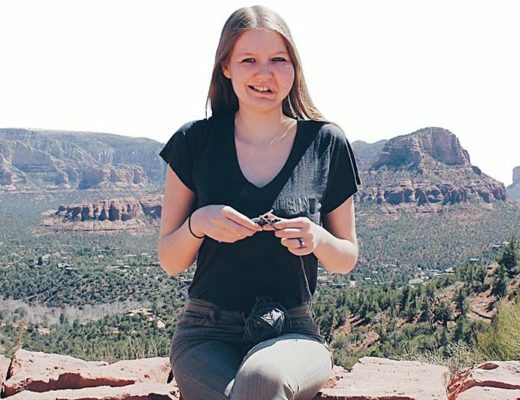 May 2018 I started a special series of free crochet patterns dedicated to people with the same condition as me. Giveaway will close on Tuesday August 21st at 11.59 PM UTC and winners will be announced on Wednesday August 22nd! Congratulations! I would make a shawl or hat. Congratulations on your milestone!! I would love to make some shawls and possibly a blanket as well! You and your designs are awesome! 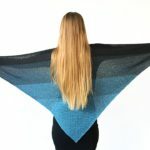 I’d love to make some shawls as Christmas gifts for the women in my family! With Autumn coming fast, I would love to make some hats, scarves and shawls. You have so many beautiful designs that I imagine this yarn would be wonderful for! Congrats on 30,000 followers – you’ve earned every one! I am rutmont13 in IG, from Barcelona, Spain. I would use the yarn to made hats for my 3 kids! Only crochet, I do not know how to knit. Seriously. Congrats for your 30K followers! I would make a big colourful shawl! Gefeliciteerd met je 30.000 volgers! Je maakt prachtige patronen. Ik zou van het wol een mooie sjaal, omslagdoek of vest willen haken. I love pompom shawl or stripe me shawl and have these on my to do list. Congratulations! I did not know your work and I really love it!! 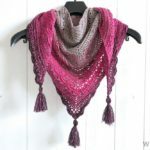 I would like to make a shawl, it is so beautiful and practical. Best regards! 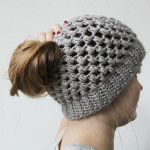 I would love to try to knit your bun hat!! Congratulations!!! the effort is rewarded and the beauty of your creations also. I would love to knit a mother and daughter shawl. Thank you and again congratulations. 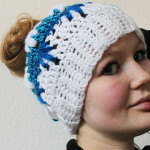 Congratulations, I love your story and the fact that you can make a living in crochet. That’s awesome! Her yarn is gorgeous. I’d like to make maybe a dress. I’ve never made one but would like to try. Hi! I’m Filipa from Portugal (filipamc_knit on IG) and I would love to knit one of your patterns with the yarn from this amazing giveaway! Congrats on the number of followers!! I would love to make the joyful josie shawl and some scarves and hats for Christmas! First of all. 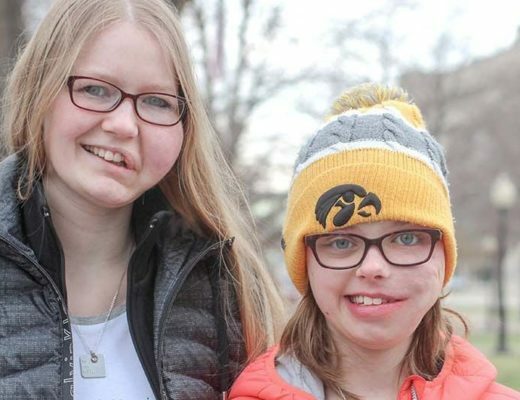 Huge congratulations! I would make shawls and blankets and gift them so that I could pay this generosity forward. I love your work and would happily make any or all of your shawls. All the best to you and congratulations! Hi! I’m Rebeca, from Spain. Congratulations for your followers! I would use this yarn to knit or crochet some scarfs, hats, etc. Hi, I am Simona from Dubai! First of all congrats for the 30.000 followers and for rhe amazing payterns. What I would like to do with this yarn…let’s see. Dedinitely a shawl, in Dubai tou are not able to survive the cold in the malls without one. That is for starters…after that will see what is left. With this yarn I could knit some shawls, scarfs, hats. First I would like to do a shawl. Congratulations for the followers!! Congratulations!! What an awesome achievement. I would love to make some cowls and a jumper with these yarns. Congratulations on the amazing achievement! And what awesome prizes! 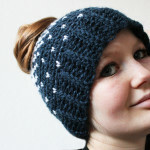 I’d love to add to my collection of knitted tops if I were to win this awesome giveaway. Would love to make crochet tops for me and my girls with all those yarn! Congratulations on your milestone! I would like to try making shawls with these Katia yarns. I’m making shawls and wraps these days. I really enjoyed reading this blog post as I’ve only just found you, and I am so happy I did all thanks to a follow post and someone tagging you! It has been great to hear about your journey and what has been happening these past few years. I can’t wait to have some more time to check out your blog and Instagram more throughly! Congrats on reaching such an amazing milestone 🙂 I feel that I can relate to you with what you have said about how much it means to you, I too feel the same as I reach milestones although I’m no where near your amazing number! As for this lovely giveaway which I’m super excited about, it really would be amazing to win as I love Katia yarns and I think most in this prize bundle is vegan friendly so that’s ideal for me. It really would make my day/month/year to win so fingers crossed and a big thank you for this chance too. I think if I was lucky enough to win these yarns I’d Make a mix of crochet patterns. I’d love to use some to make some shawls and I’ve just fallen in love with some you’ve designed so that would definately be on my to do list. I’d also love to make some amigurumi with some as I think some of the yarn would be perfect for it and depending on the amount of yarn I even like the idea of making some garments like cardigans and sweaters etc. I really think I’d be inspired by the yarn and each would be perfect for certain patterns. Thank you so much for this chance to win these lovely yarns and I am really looking forward to getting to know you more and following your beautiful work. Congrats on such an amazing milestone!! The yarn is just beautiful…I’d make socks, mittens, scarves, cowls, hats…the possibilities are endless!! Ik zou als ik zou winnen een mooie omslagdoek maken en een leuke knuffel. Wat een volgers in kort tijd zeg, gefeliciteerd! Met de gave give away zouden wij als #haakmutsen je mooie patronen van sjaals gaan maken. Maar gezien de hoeveelheid lijkt t me ook leuk om een haakproject uit te zoeken van een goed doel. Gratulation! Ich häkle bisher ausschließlich Amigurumi. Aber ich würde zu gerne mal ein Tuch versuchen mit der passenden Wolle. 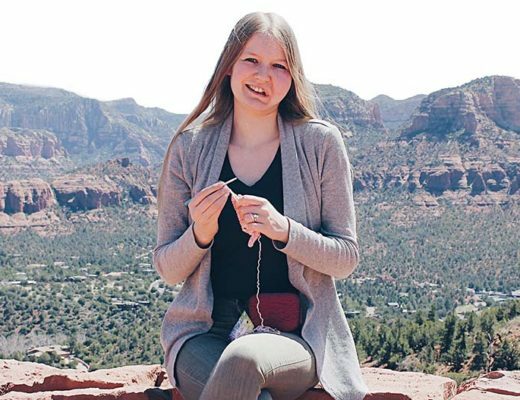 Loves reading about your crochet journey! It’s been an amazing one! This is such an awesome giveaway and I would love to make a shawl. I’d love to make some baby items, particularly blankets and toys! Gefeliciteerd! Van zo veel volgers kunnen wij alleen maar dromen 😉 maar dat betekent wel dat het het waard is om je te volgen. Ik volg je nog niet zo lang op instagram maar ik ben blij dat ik je profiel tegenkwam, het inspireert me! 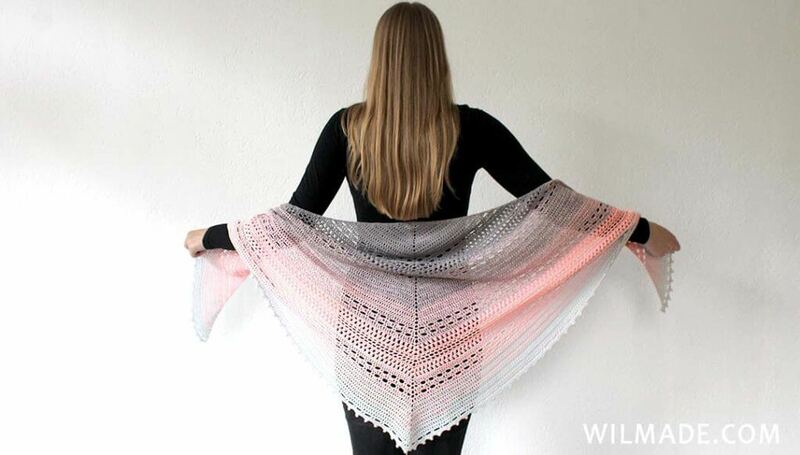 Ik zou graag eens een sjaal maken, bv jouw never ending shawl. Voor de yarn cakes heb ik een dekentje in gedachten waarbij je vlinders haakt met het kleurverloop van de cake en errond een witte achtergrond 🙂 Er zouden ook wat amigurumi’s geboren kunnen worden , er komen zoveel ideeën op in mijn hoofd bij het zien van deze mooie bolletjes. Shawls, shawls, and more shawls! Congrats!!! I love the look of those yarns. I can’t get enough shawls, so that’s what id make. Congrats! I would crate more and more toys! I would love to make a jumper or a shawl. Congrats Wilma. I would love to make shawls or jumper. Congratulations! Wow, what a big and wonderful achievement. I would love to make some beautiful baby blankets and a couple of amigurumi toys. Hi!congratulations!thanks for the giveaway!If I win,I would make one of your beautiful shawls! Mooi verhaal van je haakavontuur! Wat ik met deze mooie garens zou maken? Dekentjes, omslagdoeken, tassen,dromenvangers…ik zie vele mogelijkheden. Congratulations on making this goal. I would love to knit a sweater. I love making shawls , scarves , cowls and wraps and these Katia yarns look perfect! Congratulations on your 30000+ IG subscribers and thanks for the giveaway! Ohhh my gooodd! I live in Córdoba, Spain and I recently become to mum! I would love to win one of your giveaway, I would like to try one of your wonderful designs! Thanks for your give-away. Since I read about it yesterday evening I am wondereing, what I would make. It depends so much on the material, amount and colors! The apricot-pinkish Hawai yarn would be perfect for a vest for my little granddaughter. Anything blue would make something for me – like a shawl or scarf or maybe a tunic or your dress. Wishing you many more wonderful gifts in life! What an amazing time lapse you had. I just found you through Katia Yarns and I’m so glad I did! I would definitely make a big shawl for the chilly evenings and my office days at work. I mean, this hot weather we had the past few MONTHS in the Netherlands.. That’s weird right? That can only be a sign of a cold, stormy autumn kicking in early. I wanna be ready! Haha. Congratulations on your 30k followers! Congratulations! 30.000 is certainly worth celebrating! Gefeliciteerd met je volgers mijlpaal! Gaaf! Als echte haakfanaat zou ik me wel raad weten met zoveel mooie garens. 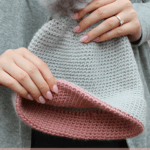 Kussens, sjaals, amigurumi en tassen….. Heerlijk…. Ik ga alvast heel hard duimen. Voor jou, heel veel succes verder met je mooie werk! I’m so glad I found your blog and instagram! I’ve seen your work across social media and I’ve been on the look out ever since. I’d love to use some of those beautiful cakes to make some shawls on my “to do” list – now including a few of your designs as well. I don’t really wear shawls but I think they’re beautiful and fun to make, so I’ll probably give them away as gifts. Thanks for sharing so much of your work and yourself with us! Hi and congrats on the 30 000 followers (wow!!). I’d love to make (any!) shawl with a Katia yarn cake! Congratulations Wilma! That‘s a milestone! I would love to try out the Katia yarns since I am not really familiar with the brand. I only used the Azteca so far for a nice and warm shawl and loved it! There are so many projects coming to my mind but I think I would start with a shawl or simple top. Ik zou een heleboel sjaals maken! Wat een prachtige give away! I just found your account through Katia yarns and I’m really glad. Your designs are beautiful! Hi Wilma! I’m so glad to have discovered your blog and crochet designs. I’ll be peeping at the Simple Dress to Impress pattern next. If I won the yarn, I would make a mobius cowl, hat, fingerless gloves or a shawl. I like accessories to keep me warm since I’m often cold, except for my office that feels like an oven lol Congratulations on this milestone of 30k followers! Oh this yarn is gorgeous!! I have been working up the courage to design a shawl and I think it’d look spectacular in one of these gorgeous yarns!! Congratulations in reaching 30k- you rock and I have loved watching you as your blog grows! Ik ga er een vest mee maken mocht ik winnen. Superleuke aktie. Jij maakt hele mooie dingen. Gefeliciteerd met je mijlpaal. Ik zie telkens weer zulke mooie patronen op Insta en je blog, ik heb er voor mezelf al heel wat opgeslagen. Een hele leuke winactie! 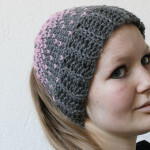 Ik wil heel graag de joyful Josie sjaal haken. De Bella vista en de Pom pom Happiness, staan ook op mijn lijstje om te haken.. genoeg te doen dus! I love everything you make and look forward to seeing your next projects all the time. I think if I won this beautiful yarn I would like to make another of your fantastic shawls! I have made a couple of them so far and made your hats, and not look forward to the skirt and dress. I love the gradient yarns! Gefeliciteerd met deze gave mijlpaal! En om antwoord te geven op je vraag.. Om heel eerlijk te zijn, géén idee! Ik haak voornamelijk knuffels, dus ander garen dan katoen heb ik eigenlijk niet in huis. Lijkt me heerlijk om eens uitgedaagd/geïnspireerd te worden door nieuw garen! I would love to make some scarves and shawls for the coming winter! I haven’t used much Katia yarn but it looks so gorgeous! I’d have to make a comfy jumper for my dear friend who’s going though a bad time. I a Nathalie from France. I’m very very happy for your 30000 followers. I like your patterns and your beautiful work. Wat leuk om je verhaal te lezen! Ik doe graag mee. Met het garen zou ik een mooie omslagdoek maken. Zoals ik op instagram al schreef. GEFELICITEERD echt super en helemaal verdient. Ik volg je al een hele tijd en reageer graag op je berichten. Wat ik ontzettend mooi vind is dat je me al een paar keer persoonlijk daarvoor hebt bedankt. Ik doe het echt super graag en vind je patronen echt top. Ik hoop dat je nog veel volgers erbij krijgt en dat we elkaar misschien ooit nog eens gaan ontmoeten. Ik zou graag iets moois voor mijn moeder maken, een vriendin die het echt verdient. En een cliënt van “zeurt” om een nieuwe sjaal voor de winter. Ik ben heel benieuwd en ga duimen dat ik win. Ik heb nog niet vaak met katia garens gewerkt. Ben heel benieuwd. Hello, I am Luzia Pinto and I live in Calgary, Canada! I am currently working on a Bella Vita Shawl and loving it, almost done!